As a parent of three sons who have played football, I've seen the good and the bad. The popularity of the National Football League (NFL) and collegiate football have inspired parents nationwide to sign their kids up for youth football. Having three sons who have played, I have seen that the sport is fantastic for many kids. But I've also learned several things that parents should consider before signing up their kids to play. I hope these tips will help you make a wise decision about whether youth football is appropriate for you and your child. Football by its very nature is a physically demanding and violent sport. This means that even at the 6-, 7-, 8-, and 9-year-old levels there will be intense workouts that focus on getting the kids in shape to play. These workouts will include drills on how to tackle and block. 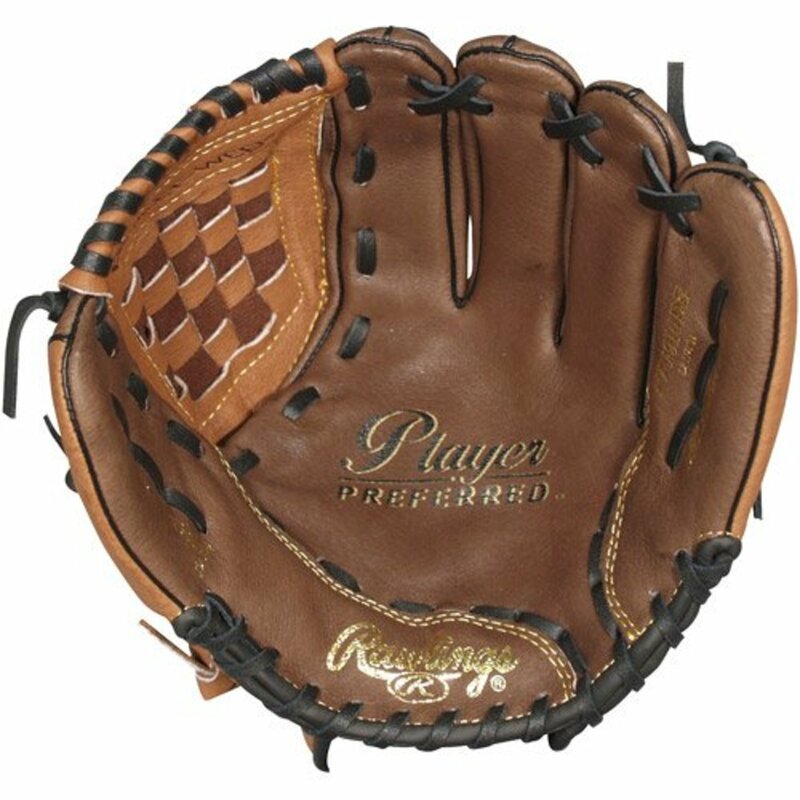 No matter what position your child ends up playing, they will be hitting and will get hit. The hitting simply is not for every kid or parent. Having some apprehension about being hit or hitting other kids is normal. But some kids are simply terrified of it and cannot do it. Do both your child and yourself a favor and consider this before signing up for youth football. Forcing a child to play when they can't hit or be hit simply isn’t fun for the child or parent, and could get the child hurt. You also need to consider whether you will be able to watch your child get hit and hit others during weeks of practices and then in 8 to 10 football games a year. Of course, here again some apprehension is normal, but it should be apprehension that you can control and tolerate! I think the best way, particularly if you never played football yourself, to develop skills to control your apprehension is to learn about how the sport is played and its safety equipment. The more knowledge you have, the less apprehension you should experience. But if you still can’t tolerate sitting in the stands and watching your child get hit or hitting other kids, strongly consider not having your child play. The helmets, shoulder pads, mouthpieces, and other protective equipment used in youth football today are absolutely fantastic. But injuries do occur! Some estimate that about 10 percent of the players who play youth football will get injured. The vast majority of injuries are minor—such as bruises, bumps, muscle strains, etc. But, while rare, occasionally the injuries are more severe. In particular, there has been a lot of concern over concussions. A number of studies have evaluated the prevalence of concussions in football. There is still a lot of controversy over what the real impact of the sport is on concussions and other injuries. But the reality is that football is a violent sport where players intentionally try to tackle one another and hit other players with blocks, etc. The vast majority of concussions appear to occur during head to head contact, which often occurs on tackles. While a great deal of effort is being made to limit head to head contact, it is likely that it will always be a part of the sport, if only through accidental occurrences. I have purposely not included detailed information regarding the concussion studies in this article because the information changes rapidly. If you are truly concerned about concussions in youth football, do an internet search via Google or another search engine for something like “concussions in football” or “concussions in youth football” and you will likely come up with more information than you can read. Keep in mind, however, that the incidence of concussions is relatively low and the impact of concussions can be minimized with proper equipment, proper tackling and blocking techniques, and proper concussion detection programs. Consequently, the best thing you can do to protect your child from concussions is to make sure that the youth football program you sign your child up for has all three of these elements. Finally, if your child does prove to be prone to concussions, you should discuss with your physician whether or not he should continue to play football because studies have shown that the health impacts of multiple concussions can be severe. Make sure that your child always puts his safety equipment on and wears it properly. In particular, you need to make sure the child has a helmet that fits properly, uses a cup, and uses a mouthpiece on every single play. In addition, you may be able to reduce the occurrence of many bumps and bruises with the use of knee and hip pads. Finally, for some positions, such as linemen, neck rolls may also be helpful safety equipment. You know your child better than anyone so watch for signs that he has injuries that he’s not telling anyone about. If you think he is hurt talk to him about this concern and find out what is going on. 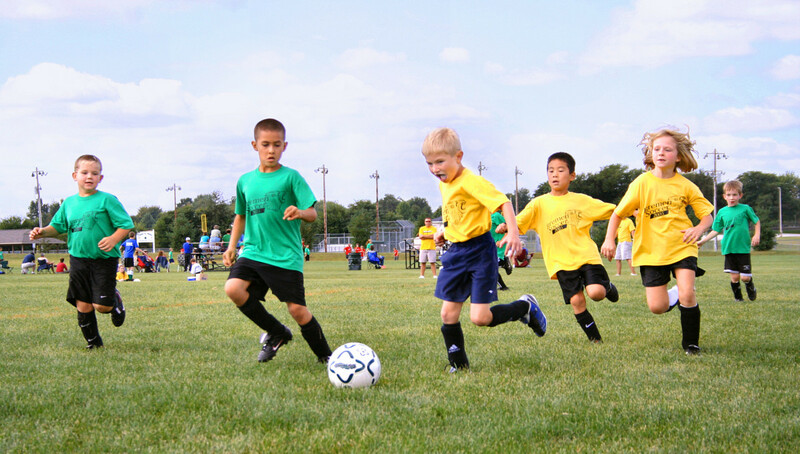 Make sure that your child is physically fit to play football to begin with. Many leagues will require an annual physical to verify this for insurance purposes, but even if they don’t you should have your child have a physical before playing. 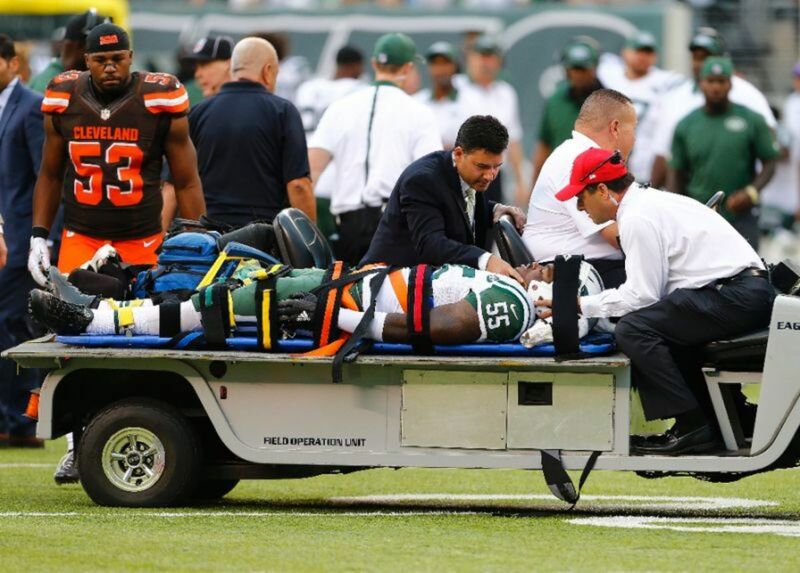 During the physical make sure to ask your doctor if your child has any health conditions that make football dangerous. Particularly in the early hot months of practice and games, make sure that your child stays hydrated. 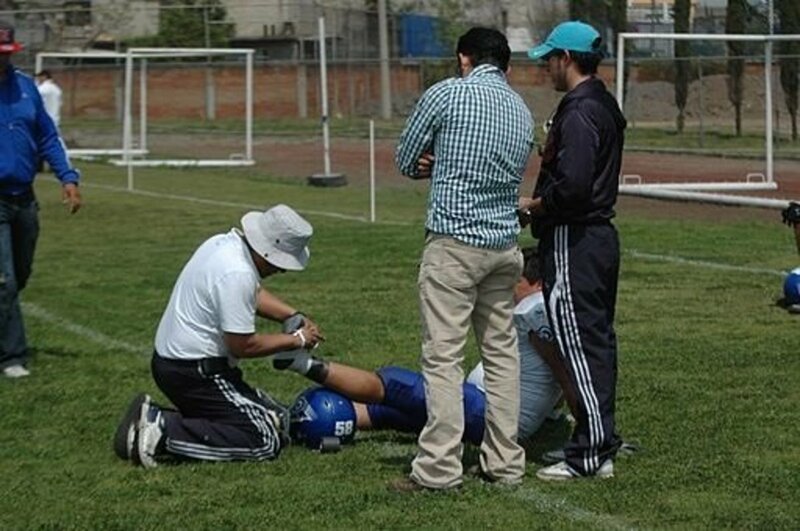 So while injuries are a fact of life in football, with proper planning, physical conditioning, and use of protective equipment they can be minimized. In fact, many players play football for years without anything more than a few bumps and bruises, or mild muscle strains. Parents and kids are often shocked at the commitment required for youth football. There will be 3 to 4 practices a week that will last 90 minutes to 2 hours or more each. These practices are in addition to weekly games. 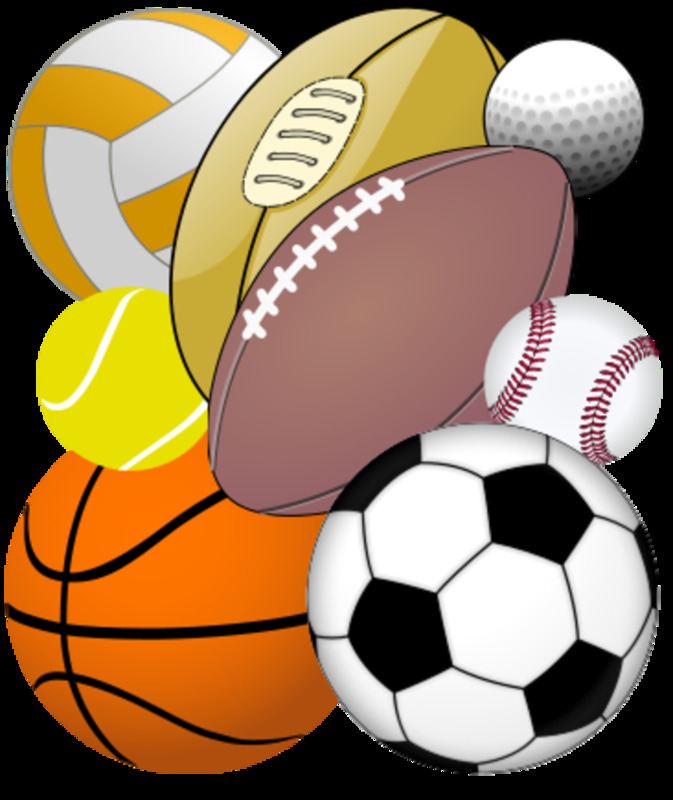 Games will last about 2 ½ hours, plus travel time to and from games. This cuts into the time available for many other activities. In particular, it makes it challenging for some children to get homework done for school. Homework is extremely important. Besides education being important for a successful life, many youth football programs will require that athletes maintain a certain academic performance level to continue participating. It can also be difficult for many parents to get out of work in time to get their child to practice. In addition, all of the time spent running one child to and from games and practices can take away time from other children if you have children who don’t play. You should also consider that if you have more than one child playing and they are on different teams because of their age, this will considerably increase the time you are at games. You can end up spending an entire day at games because you will need to be present for at least two games, which may be separated by a third game for a different age bracket. And remember, football is played in almost all weather conditions except lightning. So your time spent at games and practices can be in some pretty nasty weather, including heavy rain and even snow. One thing that parents often don’t realize or consider is that when you sign your child up to play youth football you are also signing yourself up for a lot of work beyond taking your child to practices and games. 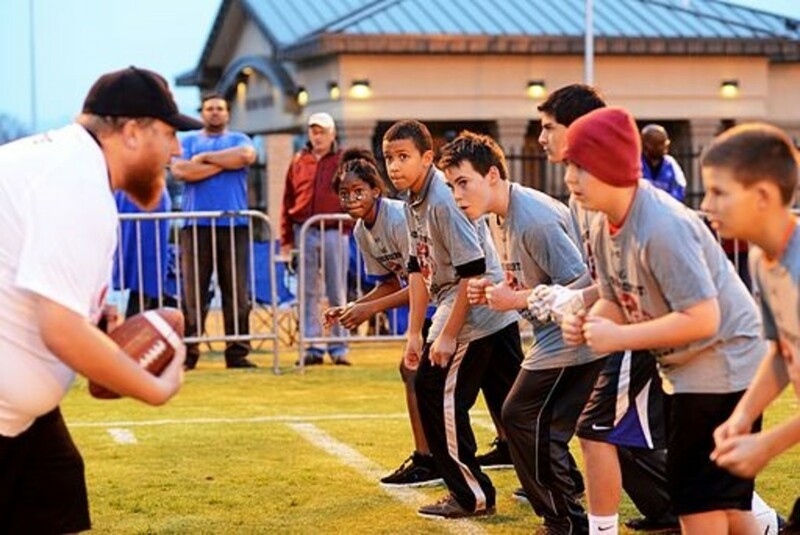 Youth football organizations are typically volunteer non-profit organizations. This means that the only way they run properly is through the efforts of volunteers, most of whom are parents. Some organizations will even have a minimum required volunteer commitment by parents. For example, the program my sons played for required each parent to perform two volunteer activities during the season for each child in the program. So if you have one child and two parents, this would mean four volunteer activities during the season. But if you have two children playing and two parents, you would be on the hook for eight volunteer activities. I have also seen programs that require a specific number of volunteer hours. Some organizations even say that if a parent fails to meet volunteer activity obligation their child can be excluded from playing. Volunteering can be fun. The last season my kids played at the youth level I volunteered as one of the individuals who handled the down marker and chains on the sidelines, which provided a great view of the games. Other typical volunteer activities include working at concession stands, serving as team mom/dad to coordinate between coaches and parents, announcing the games, running the scoreboard, conducting fundraising activities at games, etc. Most programs are funded by registration fees and donations. So, you can also anticipate regular fundraising throughout the year. While this can be annoying at times, keep in mind how important it is as quality football equipment isn’t cheap, and you want the safest equipment possible for your kids. Funding programs are so important that some programs will require a minimum level of fundraising from each family. Some programs may offer a fundraising buyout option where you can donate a set amount of money in lieu of participating in organized fundraising. 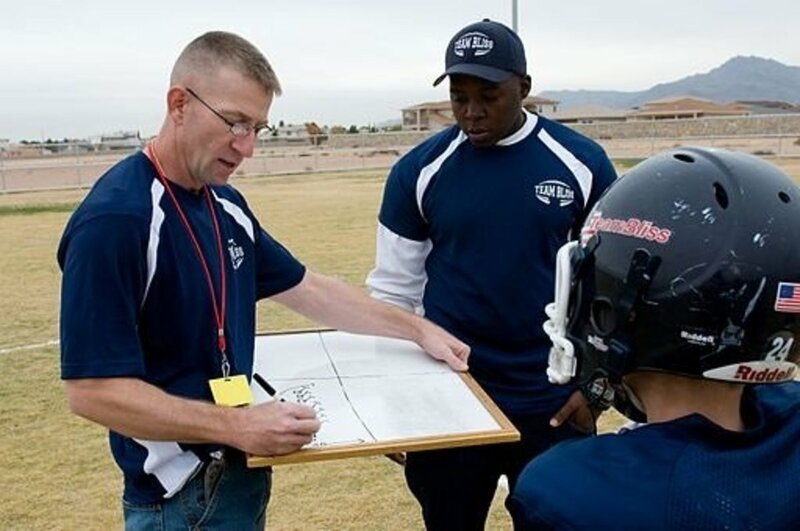 So, before you sign your child up to play youth football, make sure you both understand what your commitment is going to be, and have a plan for how you will meet your obligations. Youth football is supposed to be a fun recreational activity where all kids, regardless of ability, can participate. Unfortunately, many parents and coaches forget this and push kids to play youth football like they are playing for a Super Bowl championship. When this happens, kids get pushed so hard that football ceases to be a fun game and becomes an unpleasant chore for them. Many parents sign their kids up to play youth football with the idea that they are starting their child out on a journey straight to the NFL. If this is your thought, take a deep breath and remember they are only 6 to 12 years old—and the NFL is a long shot at best. 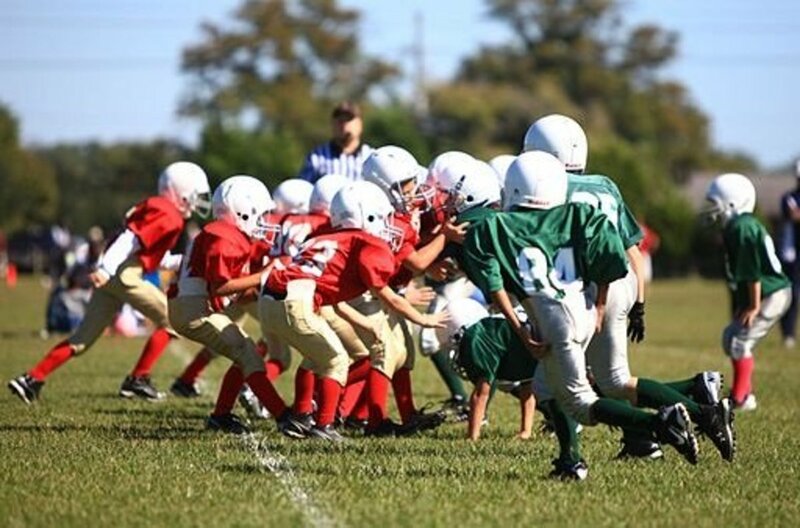 Multiple sources report that in 2015 about 1.23 million kids 6-12 years old played youth tackle football. But each year, only slightly more than 250 players are drafted into the NFL. What does this mean for your player? Well, it means the odds are very long that he will go on from youth football to play in the NFL. So, while there certainly isn’t anything wrong with wanting the best for your child, don’t get wrapped up in the future. Let your child simply play and have fun, and see where the sport takes him. Also, while I’m on this subject, there is a move these days to try and have players specialize in one sport to maximize his or her chances of becoming a pro. 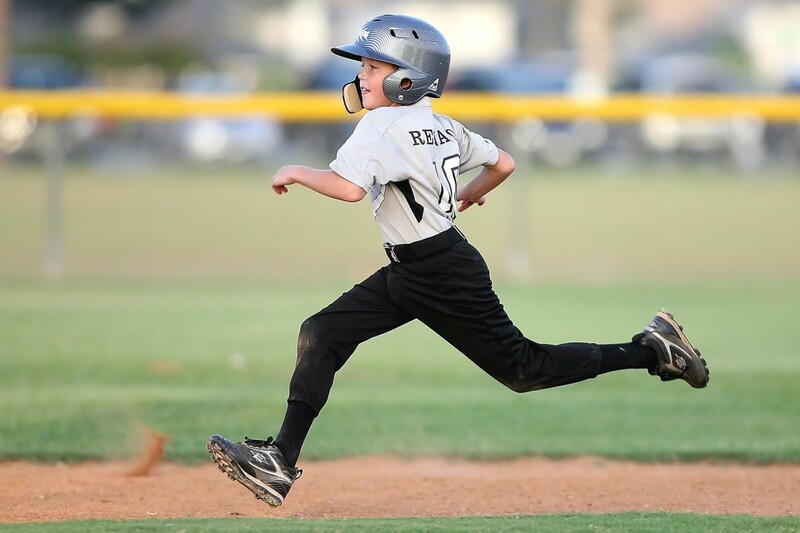 Given the long odds, particularly at this early phase of their sports life, on becoming a pro in any particular sport I think there is far greater value in letting your child play multiple sports if they want to and you can handle the time commitment. Multiple sport athletes gain great life experience, have great fun, and you just may find that they are skilled and have a lot more fun at a sport neither of you ever anticipated. The other thing that often drains the fun out of youth football for players is the parent who is constantly yelling at coaches or referees because they don’t like referee decisions, the plays called by coaches, or because they don’t think their child is getting enough playing time. Remember that this is a recreational sport—and that the coaches and referees are typically volunteers or only receive a small stipend. It is highly unlikely that anyone is a professional football coach or referee. Mistakes will happen. Sometimes it is frustrating, but before you let that frustration show remember that the kids having fun is the ultimate goal of youth football. Of course, nothing is perfect, and there are occasionally problems with coaches that do need to be addressed. The sideline during a game or at practice is not, absent a serious safety concern, the time to handle problems. Instead, first try quietly and professionally to discuss the issue with the coach away from the kids. If that does not resolve the issue, then approach your club's officials regarding the issue. Then, if all else fails, contact league officials. Remember to always be professional and courteous. Youth football is certainly not a sport for every parent or child. But if you know the risks and what to expect going in, it can be a fun and exciting sport for both you and your child. Hopefully, the information in this article will make it easier for you to decide whether or not youth football is appropriate for you and your child. Of course, keep in mind that if you try youth football and you find it isn’t right for you or your child, there is absolutely no shame in admitting so, pulling out, and finding another fun activity for your child to participate in. Good luck in your sports adventures! What do you think about concussions in youth football? Do you believe that the risk of concussions is too great for kids to play tackle youth football?